An advent calendar with something sweet inside provides a lovely daily treat as Christmas gets ever closer. 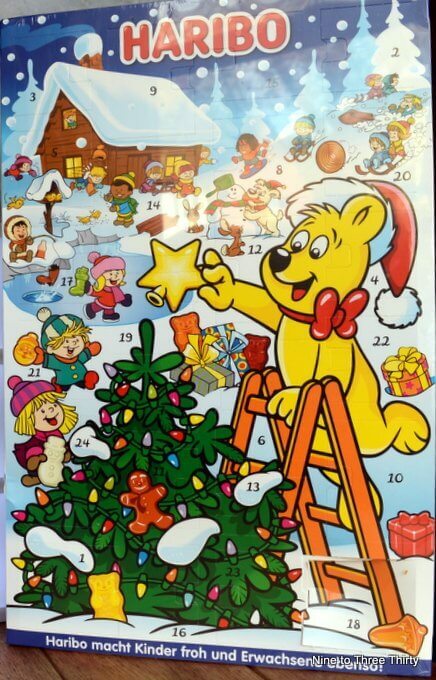 This year H is enjoying his HARIBO Advent Calendar and I think he prefers it to a chocolate one. He’ll be treated to seasonal mini bags and themed jellies and he will be looking out for Santa’s boot, a red hatted reindeer and gold star topped Christmas tree! 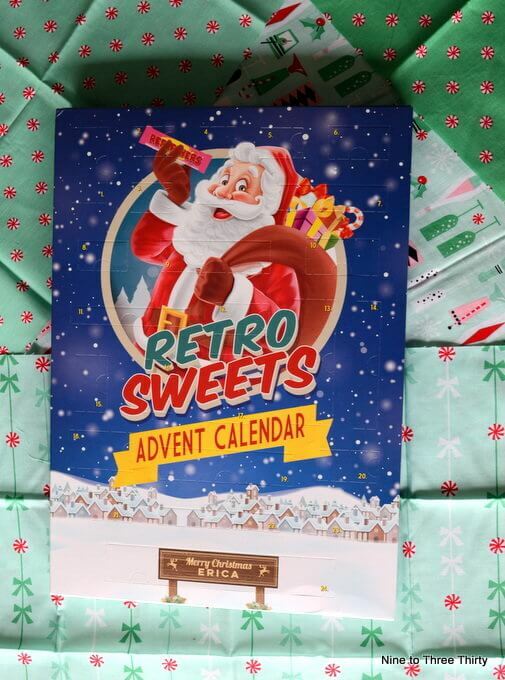 The Retro Sweets Advent Calendar has 24 doors and behind each is a different old school sweet including Refreshers, Love Hearts and more! It really is the perfect alternative to your classic chocolate advent calendar and can even be personalised with a name of your choice for an extra special touch! – www.retro-sweet.co.uk/retro-sweet-advent-calendar.html I love the fact that I can have many of my childhood favourites in one advent. The 2018 Amazon Beauty Advent Calendar is great value as it contains a combination of 24 products and deluxe samples from some of our most-loved beauty brands. All this for only £30 as it’s a limited edition, but it’s actually worth £195. A great chance to try new products and brands across skin care, hair care, make-up and nail care. For a number of years H loved having a Playmobil Advent Calendar. This year’s offering looks particularly exciting. It features the ever popular pirate theme, but I love that it includes a glowing pirate figure and firing cannon. You can create your own Treasure Island scene complete with a chest, row-boat and barrel to use as a table for the maps. It’s good to have a fun advent calendar and here’s one for gin lovers. I love that this contains 24 Bottles of beautifully made, Craft Gin. Certainly one to savour and enjoy in the evening after a long day. I haven’t got an advent calendar this year, I wish I had one of these though. I have a sweet tooth so I’d pick the Retro Sweets one. I’m a bit of a gin fan, so it would have to be the gin advent for me.